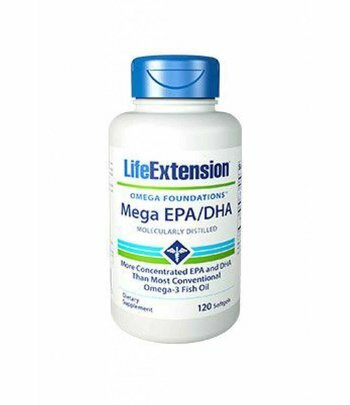 Life ExtensionMega EPA/DHA Omega-3 contains 360 mg EPA and 240 mg DHA per capsule. Molecularly distilled. Omega-3 essential fatty acid formula from fish oil concentrate. 120 capsules per container. 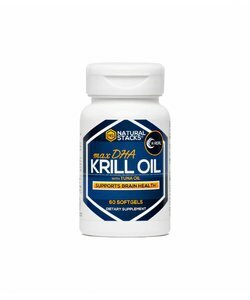 Why are EPA & DHA important? Your body needs fatty acids to survive. The body itself can produce all fatty acids, except for two: linoleic acid (LA), in the omega-6 family, and alpha-linoleic acid (ALA) in the omega-3 family. These two fatty acids can only be supplied from nutrition, and are therefore seen as essential fatty acids (EFAs). Omega-3 fatty acids can be found in coldwater fish (and fish oil), green vegetables and flaxseed oils, are the essential elements of a healthy diet. Eicosapentaenoic acid (EPA) and docosahexaenoic acid (DHA), are fatty acids of the omega-3 family, which the human body can produce out of ALA. However, the human body is very inefficient in this process. Therefore, to directly benefit from the advantages of omega-3 fatty acids, one should take EPA and DHA directly. Most supplements only contain ALA or are very low in EPA/DHA. Molecular distilled Omega-3 contains twice as much EPA and DHA as most commercial fish oil capsules do. 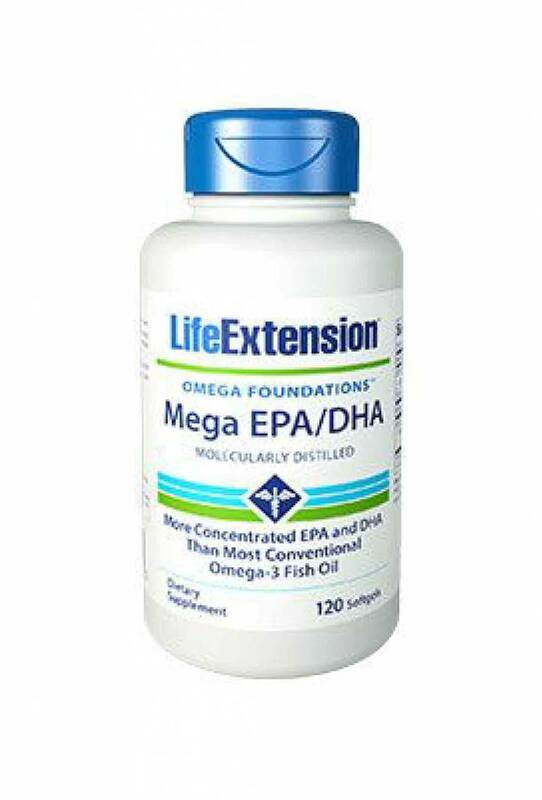 Mega EPA/DHA also contains vitamin E, which protects against oxidative damage. Life Extension Mega EPA/DHA Omega-3 is a dietary supplement which falls under the category of fatty acids. Take two soft gels one to three times a day along with food, or as recommended by a healthcare practitioner. The beneficial effect on brain function and vision is reached by taking 2 x 1 soft gels daily. The beneficial effect on blood pressure is obtained by taking 2 x 2 soft gels daily, the beneficial effect on the heart is obtained by taking 3 x 3 soft gels daily. An important tip is to take the soft gels with a meal that already contains saturated fats because this highly enhances the absorption. Other ingredients: highly refined fish oil concentrate (Alaska Pollock), gelatin, glycerin, purified water, carob colour, natural lemon flavour, mixed tocopherols, rosemary extract. 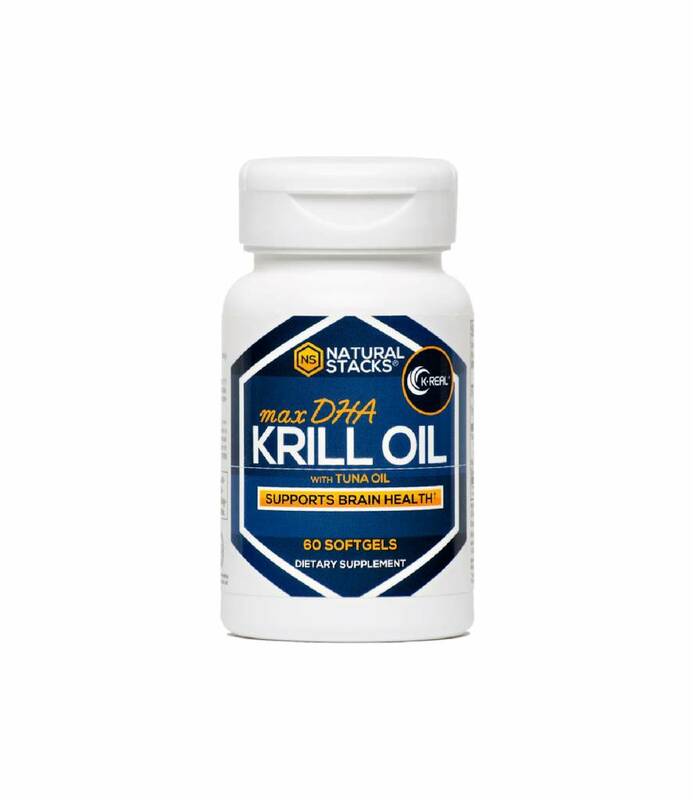 Molecularly distilled Omega-3 contains twice as much EPA and DHA as conventional fish oil capsules.